WOW! 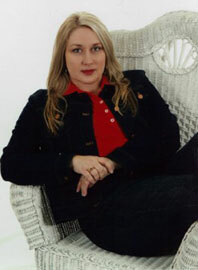 Women On Writing Blog: Gayle Trent/Amanda Lee, author of The Quick and the Thread, launches her blog tour! I can't wait to read your work. I read my first cozy this month (how is it possible I waited so long?) and I am HOOKED. Now, having a face and personality to go with your books, I'm headed over to Amazon. LOL! Also, as a mother of three...wow, can I appreciate the juggling act you have going. I am amazed,impressed and inspired. Thank you! Reading, writing, and stitching; three of my favorite things. I've found much pleasure in sewing over the years; I think because it doesn't get undone, like cleaning, cooking, laundry. Unless, of course the stitcher is murdered! I can't wait to read "The Quick and the Thread" and I think I've found a new author to follow. Yeah! Thanks for the interesting interview. I am so super excited for you and this book series! Would love to win this book. The premise sounds like the perfect Lifetime Movie! :) Best of luck to you and this series. Hi, everybody! Thanks so much for your warm, encouraging comments. Julie, I have 14 yo. boy/girl twins, and so I humbly bow to you for raising three! Sometimes I'm afraid there's not enough me to go around for them; so I admire YOUR juggling act! A Lifetime movie.... I like the sound of that! Wonder if you and I could be extras, Margo? Congrats, Gayle. Enjoyed the interview. Thanks to your success with Bell Bridge and Amazon, I asked my agent to talk to Bell Bridge. They are seriously considering my mystery series now. Read your first book and look forward to reading more. I love your books! I'm very excited to read this one, too :). Best of luck with your tour. Gayle, Loved your interview with Jodi. That's so exciting that S&S is re-releasing Murder Takes the Cake! I saw the page already up on Amazon, but it looks like they didn't have a book cover up yet. Are they keeping the one you had or creating a new one? Congratulations, Hope! Please keep me posted. Ruth, I appreciate your continued support! As for MTTC, Angela, the book will be revised and reissued essentially as a new release--new cover, new back-of-the book stuff, etc. Still, I'm wondering how to market it. Anyone have any ideas? Congratulations on your upcoming release. You've chosen a beautiful setting for murder. I enjoyed watching your trailer BTW. Hope - Congrats. Fingers crossed! Gayle - Loved the interview and will definitely be picking up your books! For your Murder/Cake book, you should pitch one of the Food Network/TLC Cake shows to do a competition based on your book. Very creative,and so far I haven't seen one based on a book (shows, themes, star birthdays, etc). I think it would be a fun show and awesome publicity. Plus they usually have a key person (you!) as guest judge. Wonderful idea, Lisa! Thank you! And thanks, Angela, for your great marketing tips as well. I cant' wait to read the book. Great interview. Sounds like a fun read! I love themed mysteries. I wish you much success with this new series. :) What part of the Oregon coast is the book set on? We're in Oregon and love the coastal region. 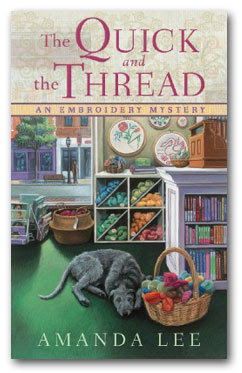 I love mysteries and needlework although out of time lately. Looking forward to your writing tips on the rest of your blog tour. Best wishes! I adore your book title. Best of luck with the blog tour! I found the interview very informative. And I learned a lot about publishing. The book sounds interesting, and I look forward to read it. Thanks again, everybody, for your warm, encouraging comments. Toni, the book is set in the fictional town of Tallulah Falls, which I put close to Depoe Bay. Looks interesting. Can't wait to read your book. Cozie mysteries are my favorite genre. I have even been thinking of trying to write one myself. I am attracted by the lack of blood and gore and bonus of learning something about the field that the book touches on. Thank you for your comments! We held a random drawing for Gayle's book, and the winner is... Toni! Readers, please visit the other blog stops on Gayle's tour for more book giveaway contests and fantastic advice on writing mysteries and more!